A major responsibility for parents is to prepare their children for a well-adjusted, adult life. For most individuals, that involves being financially responsible and living within your means. But children don’t just develop a sense of financial responsibility overnight- it must be taught. Here are some tips on how to teach your kids about making sense of money. 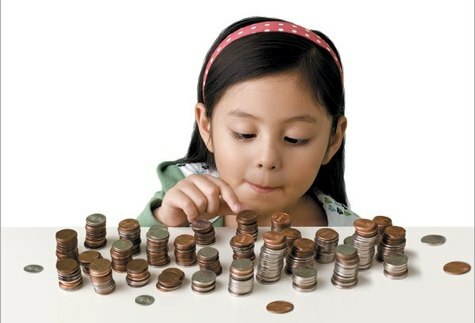 As the saying goes, “children learn what they live”, and being a good financial role model is a good place to start. For parents, this means that you should be aware of your own financial habits and what those habits may be slowly teaching your children. For example, if you’re always forgetting to pay your bills and racking up credit card debt, children will take notice and start to normalize these behaviours. When you’re debating a purchase, it may help your children for you to rationalize the purchase decision verbally, so children can learn to differentiate between wants and needs. This isn’t to say that you should take your children to appointments with your financial advisor, but you can start with everyday expenses such as food. You may choose to engage your children at the grocery store by quizzing them on simple math questions, or you can even come up with a budget for dinner and buy groceries that stay within that budget. Taking your children to the store also presents a great opportunity for you to teach them about generic vs. brand name, and the wise decision to buy the most quantity for as little cost as possible. Start giving your children a modest allowance for doing extra chores or helping out beyond what is required. This will teach them that money needs to be earned. Teach them to put a portion of it away in a piggy bank. This habit mirrors income that your children will earn in adulthood, and will teach them to ‘save up for a rainy day’. You should also stipulate that certain purchases will be made from ‘their’ money, and they must choose if they want to spend ‘their’ money on those items. Instead of giving children cash, you may also choose to give them a pre-paid debit card that you can add funds to. Even for adults, many of us find it difficult to curb spending when it’s so easy to just use a card, because you’re not giving away ‘real’ money. The most valuable lesson for children here is to never spend more than what you have, which will be helpful in curtailing unnecessary debt in adulthood. It’ll also help them to keep track of how much money they have when the money is not tangible. Looking at the statements of these cards will also be a good tool for tracking money, and will show them that those four Frappuccino’s a week really do add up!